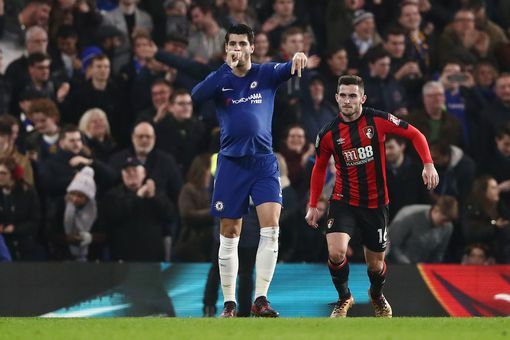 Chelsea needed a late Alvaro Morata goal to defeat Bournemouth 2-1 and qualify for the semi-final of the Carabao Cup on Wednesday night. The Premier League champions took the lead in the first half through Willian. However, the visitors equalized late in the second half through Dan Gosling. Morata eventually bagged the winner at Stamford Bridge, as Antonio Conte’s men avoided extra time. The Blues join Arsenal and Manchester City in the last four of the competition. The Gunners beat West Ham 1-0 on Tuesday, while City saw off Leicester City 4-3 on penalties, after it ended 1-1 in 120 minutes.